SpermComet® is a molecular test, that looks inside your sperm to check out the quality of your sperm’s DNA. Sperm DNA can be damaged during sperm production and while it is being stored in your body. This damage is known as DNA fragmentation. High levels of sperm DNA fragmentation are associated with delayed natural conception and repeated miscarriage. Sperm DNA fragmentation also reduces the success of fertility treatments like IVF. 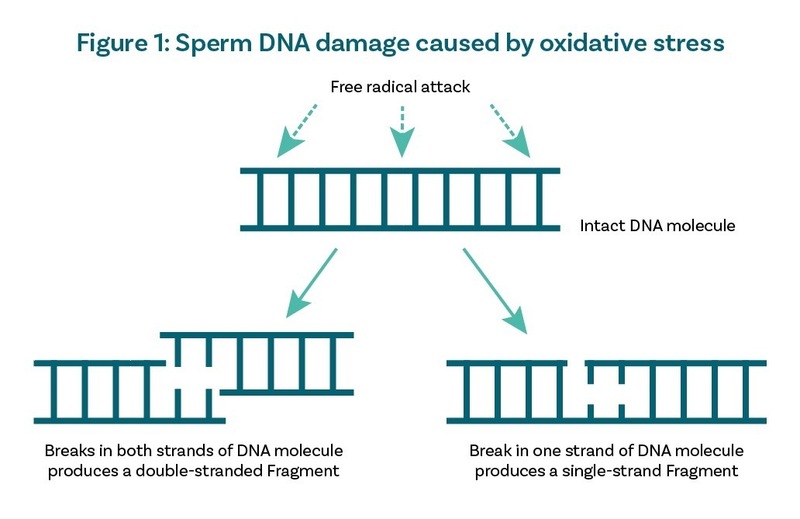 Damage to sperm DNA is mostly caused by oxidative stress via free radicals. Free radicals attack the DNA resulting in single or double-strand breaks in the DNA molecule itself and producing single or double-stranded DNA fragments (Figure 1). Sperm do not have the cellular machinery to repair DNA damage so even men who are dads have some damage in their sperm. The amount of damage caused can vary from one sperm to another. But once the damage reaches a certain level it can cause fertility problems. SpermComet® is based on a technique known as single cell gel electrophoresis (SCGE). This technique is used extensively in cancer research to test the toxicity of new drugs. SpermComet® measures the amount of single- and double-strand DNA fragments present in individual sperm, generating a picture of the extent of DNA fragmentation throughout a sample. This detailed examination of a sample is what makes SpermComet® the most accurate male fertility test available. 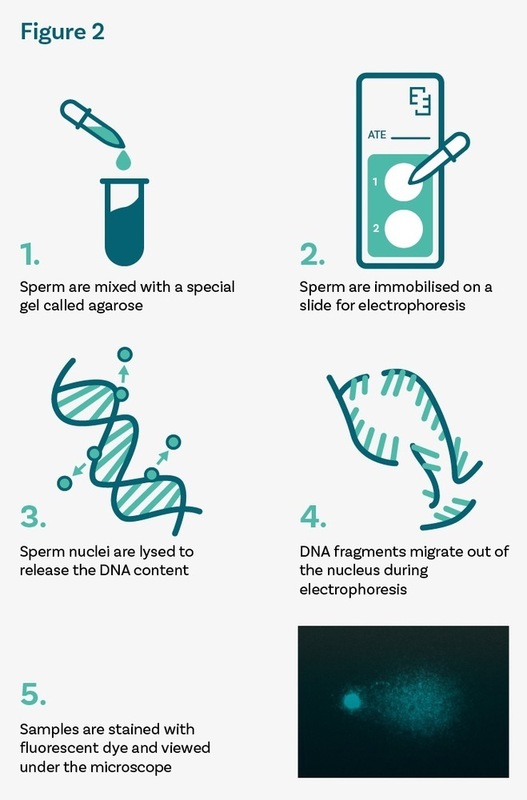 During the SpermComet® test, sperm are embedded in special gel called agarose. The DNA content of individual sperm nuclei is submitted to an electric field. 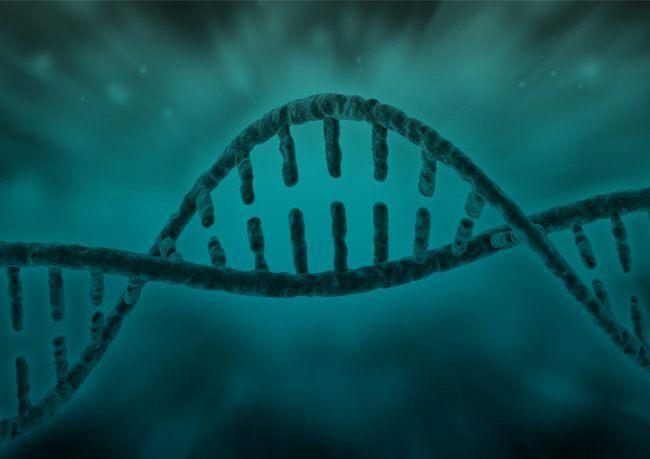 DNA fragments migrate through the gel whilst intact DNA remains in the nucleus. After fluorescent staining, the image formed resembles a ‘celestial comet’, with the undamaged DNA forming the head and the broken fragments of DNA forming the tail of the comet (Figure 2).